Relocating to a new house is stressful enough without having to worry about the logistics of an entire move. So when it comes to the heavy-lifting (literally), leave it to the professionals — professional movers, that is. Experienced Akron, OH moving companies consist of expert movers and packers who can efficiently pack, move and assemble your Akron belongings to ensure that you get off to a good start in your new home! Akron Pool Table Movers founded locally in 1999 with the pool table professionals from all around Akron, a 40 year old family tradition with the best pool table service. Delivering our best at any service we perform on your billiard table, making the job right once without any flaws with reliability and confidence bearing us and our customers assurance with an exclusive 1 year premium service guarantee. Our mission is to provide quality moving services that fit your situation. 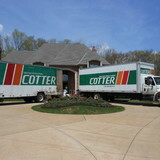 We have been in business for over 100 years, and are a locally owned full service, professional moving company. 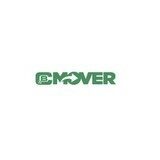 We provide residential and commercial, local and long distance moves. Please request our free estimate service to receive a written guaranteed NOT TO EXCEED PRICE. 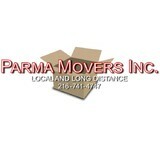 Parma Movers, Inc. was established in 1951 by Lawrence H. Roush and is now owned and operated by 2nd and 3rd generation family. Our hardworking and dedicated staff has over 20 years average service with the company. 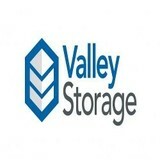 We are a full service moving and storage company that handles residential, commercial, industrial and intrastate moves. Our state of the art containerized storage facility enables us to receive and store all types of furniture, fixtures and equipment. Whether you need to move one piece or an entire building we are here to service you! Cleveland Relocation Services is a fully licensed and insured moving company that delivers efficient and affordable relocation solutions to the northeast Ohio region, including the communities of Parma, Cuyahoga Heights, Shaker Heights, Willoughby, Painesville, Cleveland Heights, and beyond. 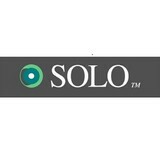 We provide expert moving help for homes, apartments, commercial business and offices. In addition to our trusted local moving services in Ohio, we offer long-distance assistance throughout the Midwest and the USA. Our movers are highly qualified and intensely trained to move furniture, home appliances, pianos, pool tables, safes, and more. We are full-service moving company that helps customers with planning and logistics, packing and unpacking, loading and unloading, delivery and more. Call us at (216) 545-5364 for a free estimate and low-cost moving rates in Cleveland, OH.